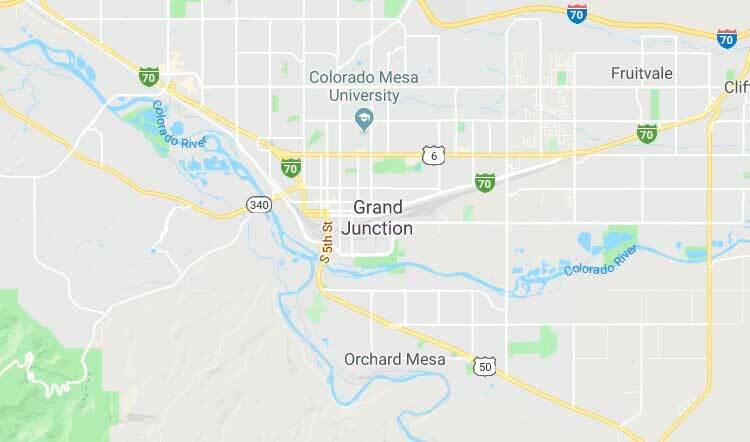 Gypsum is located in western Eagle County at 39°38′40″N 106°56′25″W (39.644499, -106.940232), in the valley of the Eagle River, a west-flowing tributary of the Colorado River. U.S. Route 6 passes through the center of town, leading east (upriver) 7 miles (11 km) to Eagle, the county seat. Interstate 70 runs along the northern edge of Gypsum, with access from Exit 140. I-70 leads east 133 miles (214 km) to Denver and west 110 miles (180 km) to Grand Junction. According to the United States Census Bureau, the town has a total area of 7.7 square miles (20.0 km²), of which 0.04 square miles (0.1 km²), or 0.68%, is water. As of the census of 2000, there were 3,654 people, 1,150 households, and 917 families residing in the town. The population density was 992.8 people per square mile (383.4/km²). There were 1,210 housing units at an average density of 328.8 per square mile (127.0/km²). The racial makeup of the town was 81.28% White, 0.16% African American, 1.31% Native American, 0.22% Asian, 0.05% Pacific Islander, 15.00% from other races, and 1.97% from two or more races. Hispanic or Latino of any race were 31.31% of the population. There were 1,150 households out of which 51.2% had children under the age of 18 living with them, 68.8% were married couples living together, 6.8% had a female householder with no husband present, and 20.2% were non-families. 12.3% of all households were made up of individuals and 1.3% had someone living alone who was 65 years of age or older. The average household size was 3.17 and the average family size was 3.47.